Everyone owns T-shirts for sometimes we just want to keep things casual. But that doesn’t mean you can’t look fabulous – simple can be so chic, if only you fashion it right. So here are some ways in which you can wear your fuss-free T-shirts and still look like a star. 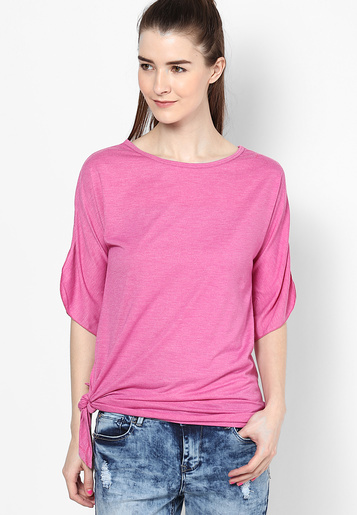 Nothing screams awesomeness louder than a tucked-in tee which looks oh-so-uncaringly done. This carefully put-together look is a wonderful combination of boho sensibility and diva mentality. Leave part of your shirt hanging out, either at the center-front, front-side, side or back, while tucking the rest into your jeans/skirt/shorts. Accessorize minimally and get ready to wow everyone. This is the perfect way to style your longer, looser t-shirts which just seem to hang on you otherwise. After putting the shirt on, gather it on either the left or right side of your waist, and knot it tightly. This will immediately fit the shirt to your frame and if you like, you can make the knot a little above the waist, so it looks somewhat like a crop top. Effortlessly runway ready! Another great way to glamorise the boring tee is wearing it under a button-down shirt. Leave either few or all of the shirt buttons open, going for the layered effect. Play with colours and textures to add depth, though the best t-shirt pairings are with denim and sheer shirts. Oversized tees can be made even cuter and chicer with nothing more than a thin belt. 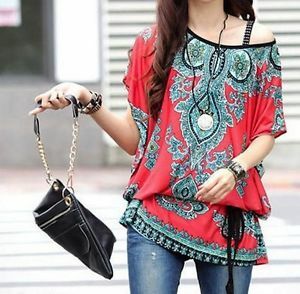 Cinch the t-shirt with a belt at the waist and tease out fabric from some portions to hang over it. Let your lowers be form-hugging such as jeans or fitted skirts, so the overall look is balanced. Avoid accessorizing further for you’ll already be looking stunning! This may require some cutting and snipping so only use shirts that aren’t too expensive. Cut away a diagonal section of your t-shirt’s neck region so that the should-top of one side is removed. Then wear the shirt with a contrasting bra beneath so the showing strap adds looks brilliant as well. Rock the DIY-fashionista look!